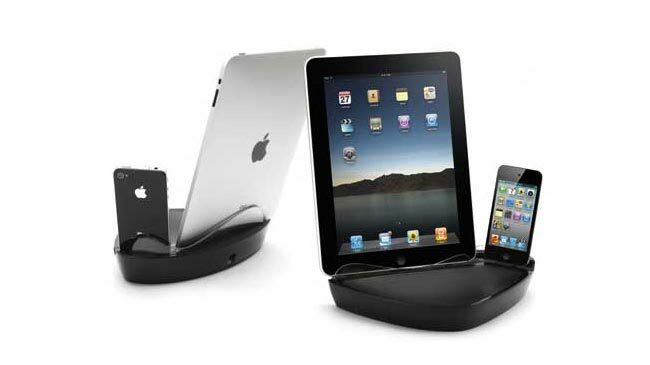 If you own both an iPad and iPhone the new Griffin PowerDock Dual iPad And iPhone dock might be the perfect gadget for you to help keep them both fully juiced up and ready for action. The Griffin PowerDock Dual allows you to dock both devices at once and provides unobstructed views of your screens, allowing you to use them even while docked. The dock even allow the speakers of your iPad to be play media, with sound channels that let the sound out, all be it in portrait orientation.